Hey it's Gregor Blanco! You may remember him from the 2014 NL Champion San Francisco Giants. Gregor has been a staple in the Giants outfield for the past three seasons. 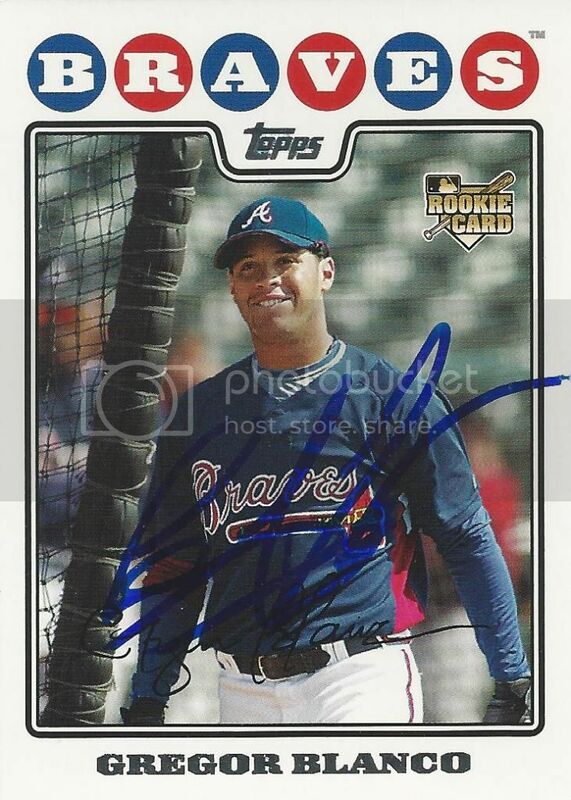 I picked up his signed 2008 Topps card from a friend on SportsGraphing.com last year.